In the vein of timely titles such as Katherine Applegate's Wishtree and Alan Gratz's Refugee comes a touching, accessible middle-grade debut about the ongoing Syrian refugee crisis, as well as the life-changing power of friendship and standing as an ally. There used to be an empty chair at the back of Mrs. Khan's classroom, but on the third Tuesday of the school year a new kid fills it: nine-year-old Ahmet, a Syrian refugee. The whole class is curious about this new boy--he doesn't seem to smile, and he doesn't talk much. But after learning that Ahmet fled a Very Real War and was separated from his family along the way, a determined group of his classmates bands together to concoct the Greatest Idea in the World--a magnificent plan to reunite Ahmet with his loved ones. 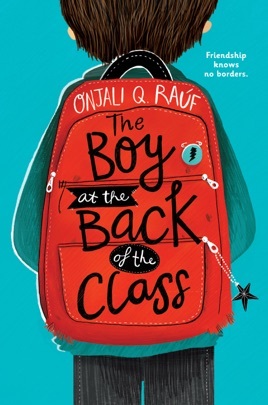 Balancing humor and heart, this relatable story about the refugee crisis from the perspective of kids highlights the community-changing potential of standing as an ally and reminds readers that everyone deserves a place to call home.